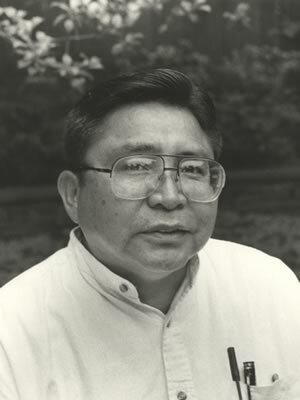 Tom Tso played a pioneering role in establishing modern Anglo-American law and legal processes in the Navajo Nation while upholding tribal values, independence, and integrity. As the first Chief Justice of the Navajo Nation Supreme Court at its establishment 1985, Tom served as its widely respected leader until his disability retirement in 1991. After graduating from high school in 1965, Tom served as a Marine, earning the Purple Heart in 1966 for wounds he sustained as a sergeant in Vietnam. His training in legal services began in 1970, at the Navajo Legal Aid and Defender Services, where he was an interpreter, investigator, and court advocate. In 1978, he was appointed director of the Tribal Law and Development Litigation Unit of Department of Native Affairs-People’s Legal Services, Inc. In March 1982, Tom was appointed District Court Judge, where he presided over civil, criminal, and juvenile cases for four years before being appointed Chief Justice of the Navajo Nation. At his confirmation in 1985, Tom said, “No person can be guaranteed fairness and impartiality from the courts unless the judges and courts are free to carry out their duties without the possibility of any type of influence from any other person or government body.” Because the Navajo Nation operates without a constitution, there has been serious debate about the role of the tribal courts in deciding legal issues about the structure of the Navajo Nation government. Tom’s calm and steady efforts to maintain the independence and primacy of the Navajo judiciary over Navajo Nation affairs and to keep the court’s focus on its judicial mission amid intense controversy won praise from every quarter. Tom rejects the melting pot image where “everybody blends together to form an indistinguishable mixture. This is fine for people who come to this country and want to jump into the pot. The real measure of tolerance and respect may well be how successfully the outside world can coexist with tribes.” Tom has been particularly successful in helping non-Native Americans better understand the Navajo emphasis on traditional relationships with nature and the effect this has on cases involving natural resources and the environment.